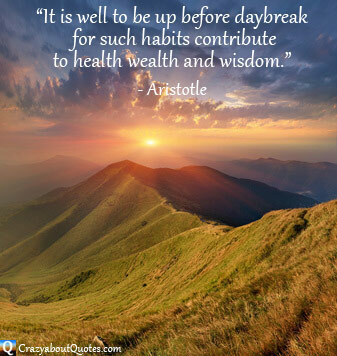 Aristotle was an ancient Greek philosopher who wrote prolifically throughout his life covering a vast array of subjects and contributed significantly to most of them. For two millennia he has remained one of the most influential and inspirational figures who has ever lived. 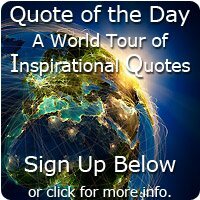 This is a collection of the best Aristotle quotes. Brief Profile: Born 384 BC in Stagira, Greece. He was the son of a physician and at 17 joined the Academy of Plato in Athens where he remained for 20 years. After Plato's death and a period of travelling, he went to Macedonia and became tutor to a young Alexander the Great. Then around the age of 50 he returned to Athens and set up a school of philosophy. After Alexander's death he fled the city of Athens and went to Euboea where he died within a year at 62.
the whole aim and end of human existence." "Philosophy is the science which considers truth." "The proof that you know something is that you are able to teach it." "The quality of a life is determined by it's activities." for one swallow does not a summer make." "You will never do anything in this world without courage. It is the greatest quality of the mind next to honour."